Here, your Brooklyn vacation is a luxury that is made affordable and cozy, it will definitely feel like home. Find out why we are the accommodation of choice amidst a list of other Bed & Breakfast guest house options in Brooklyn. We, Phil and Faye, are a couple who’ve been part of this Brooklyn neighborhood for more than 25 years. Entertaining guests in our home has been a source of joy and now we want to share our cozy home with you too. The guest house experience that we offer goes beyond having an affordable home to stay in for a much needed getaway, business travel, or luxury vacation. A real Brooklyn neighborhood experience is guaranteed. 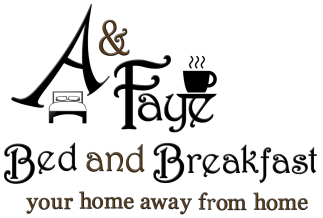 Your A & Faye Bed and Breakfast stay will be a luxury experience. The quality of accommodation and our prime location makes us an affordable choice compared to the list of other guest houses within the area. There are 5 bed options, all comfortable and set in rooms that are spacious. There are a variety of breakfast servings offered. Guest common areas are also cozy and well maintained. Must see Brooklyn attractions and public transportations are nearby. You can effortlessly work your way through your list of vacation destinations with NYC MTA subway just a few blocks away.